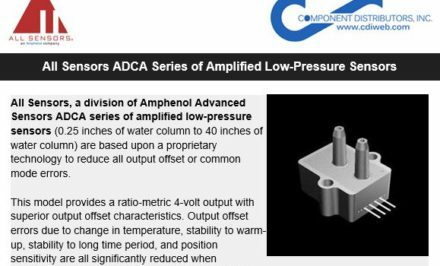 NovaSensor, a division of Amphenol (Formerly GE Sensing) offers stainless steel isolated pressure sensors for harsh media environments, the NPI-19 series. The NPI-19 series is designed for OEM applications where compatibility with corrosive media is required. The sensing package utilizes silicon oil to transfer pressure from the 316L stainless steel diaphragm to the sensing element. 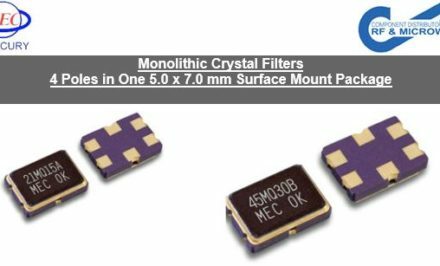 A ceramic substrate is attached to the package that contains laser-trimmed resistors for temperature compensation and offset correction. 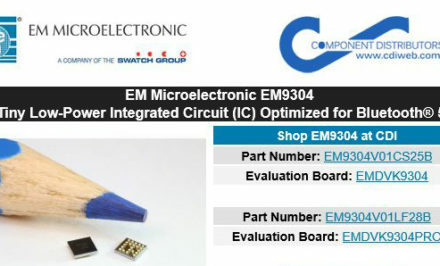 In addition, the NPI series is offered for use in constant current and constant voltage excitation for span temperature compensation. 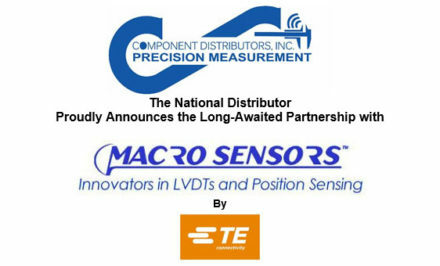 Component Distributors, Inc. (CDI) is a value added distributor of electronic components providing Sensing, Measurement, Control, and Wireless products for simple to complex system applications. CDI distributes globally and provides local customer service and application support across the Americas. CDI delivers technical solutions that are easy to find and easy to buy, providing customers and supplier partners with design services, web commerce enablement and flexible supply chain solutions.